An important map skill is the understanding of map grids and coordinates, and this concept can be a little tricky for young children to grasp. 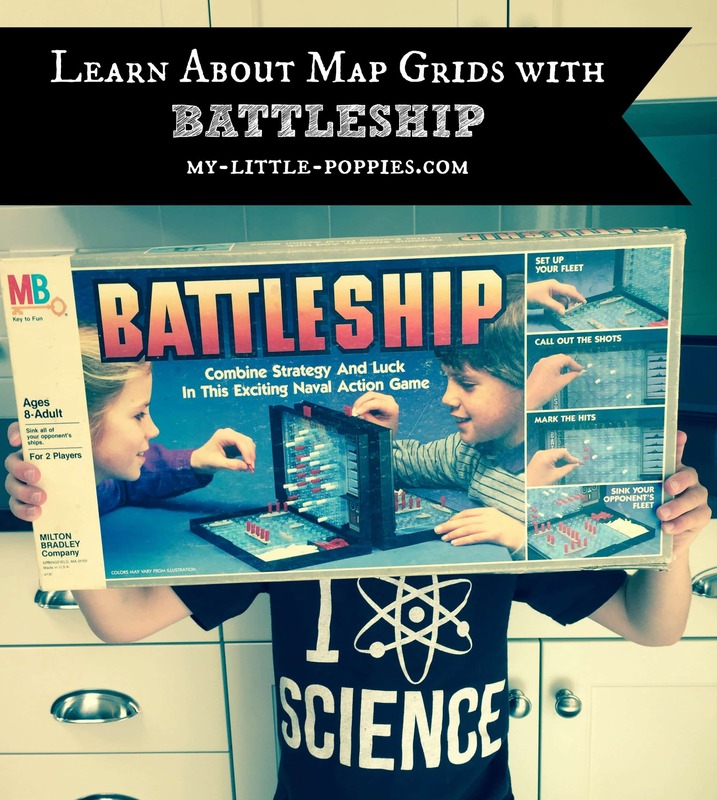 An easy way to quickly increase understanding of grids and coordinates, and an easy way to reinforce those skills once learned, is by playing an old classic: [easyazon_link identifier=”B00C0ULS3G” locale=“US” tag=”mylitpop-20″]Battleship[/easyazon_link]. I mean… c’mon! 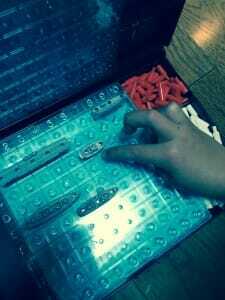 Who doesn’t love shouting, “You sunk my BATTLESHIP! !” just like the old 80s commercial. 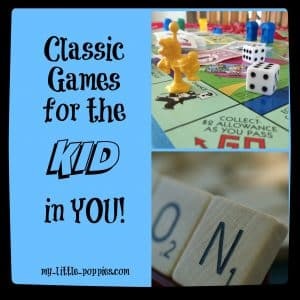 Believe me, your kids will love this classic game as much as you do, and they will be learning while they play! And, sometimes, they will even be teaching each other! One of the first ways children learn to read maps is by using the map’s grid and coordinates. Can you think of a better, or more fun way to reinforce learning grids than by playing Battleship? I certainly can’t! 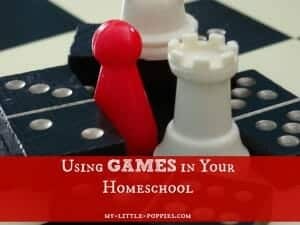 My children love to play this game together. Seuss, at almost 4-years-old, needs some help from me but that doesn’t diminish his enthusiasm for the game. It’s tough to see here, folks, but he’s actually wearing a pirate hat because- naturally- he was imagining himself aboard the ships in play. Shiver me timbers! If your kids had fun playing Battleship, build upon their learning even further by asking them to make their very own treasure maps with this Treasure Map Grid Activity! Now, it’s your turn. Tell me, how do you make map skills and geography fun for little kids? 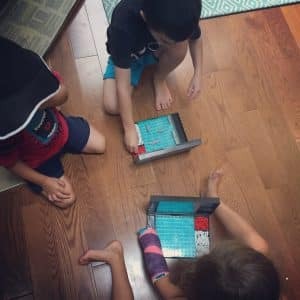 Do you use Battleship in your homeschool? Share your tips and resources here!